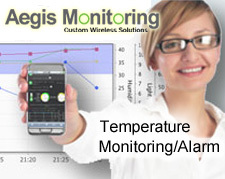 Aegis Scientific produces a full line of controlled temperature cabinets. Laboratory, Pharmacy and Chromatography refrigerators and freezers which are designed to meet the dimensional and temperature requirements of the scientific community. There are many accessories available for these models including alarms, recorders, casters, and roll out drawers plus additional options to customize units to your specific requirements.